The 2016 Spring Open Studios & Art Sale was a fun celebration of new artwork. Resident artists Lilibeth Andre, Janis Edel, Shirley Lavine, Caroline Ratliff, and Bruce Williamson opened their doors to visitors and friends who came to see the new paintings on display for the event. Live music by James Dannemller (aka Jimmy Dan) added to the relaxing environment with his soft music especially selected for the day. Open studios is an event that creates an opportunity to come and see the artists’ space and visit with several artists in one day. Each artist prepares their workspace to receive company and share their latest paintings. The work includes contemporary representational and impressionist art. The open studios is an opportunity for friends, collectors and new visitors to learn about the artists and their work in a relaxing social atmosphere. It is an opportunity to share with the community what these local artists are creating right in The Galleria area of Houston. We hope you will join us at the next event. 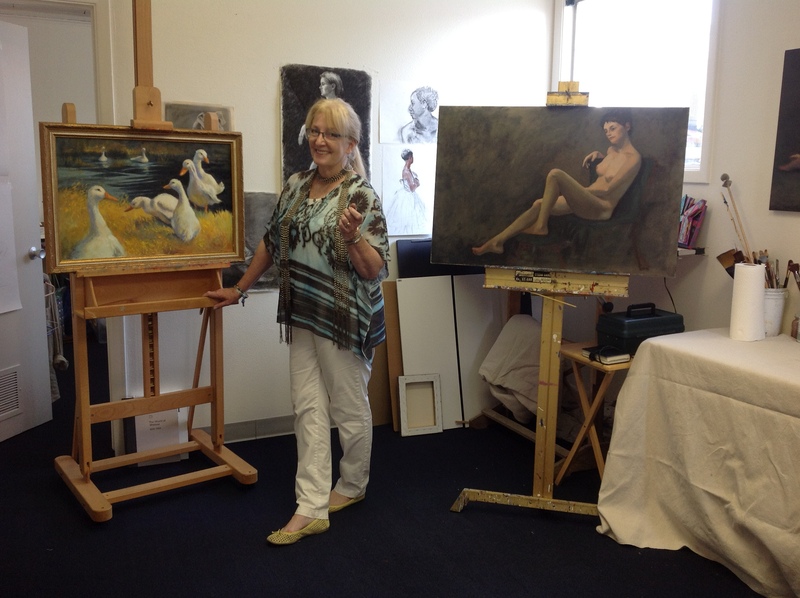 Resident Artist Caroline Ratliff at her studio. 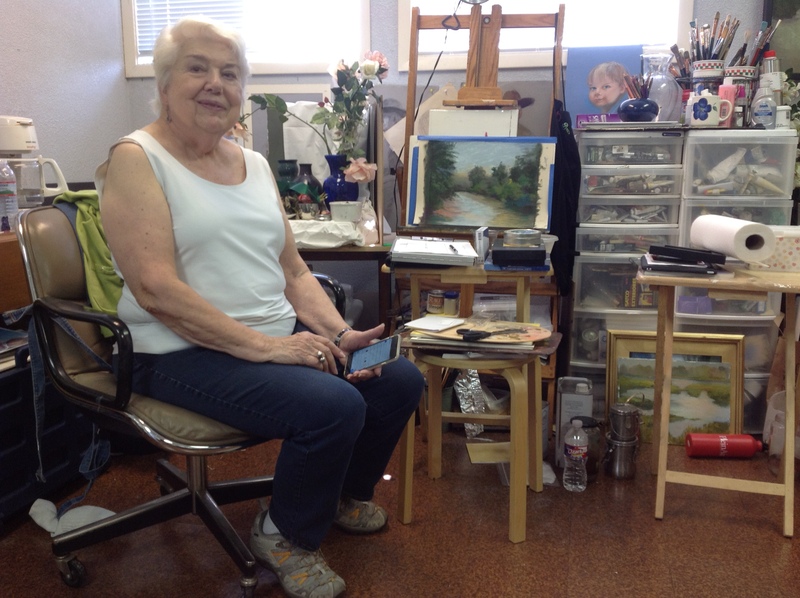 Janis Edel, resident artist at Guiton St. Artists, opens her studio to visitors. 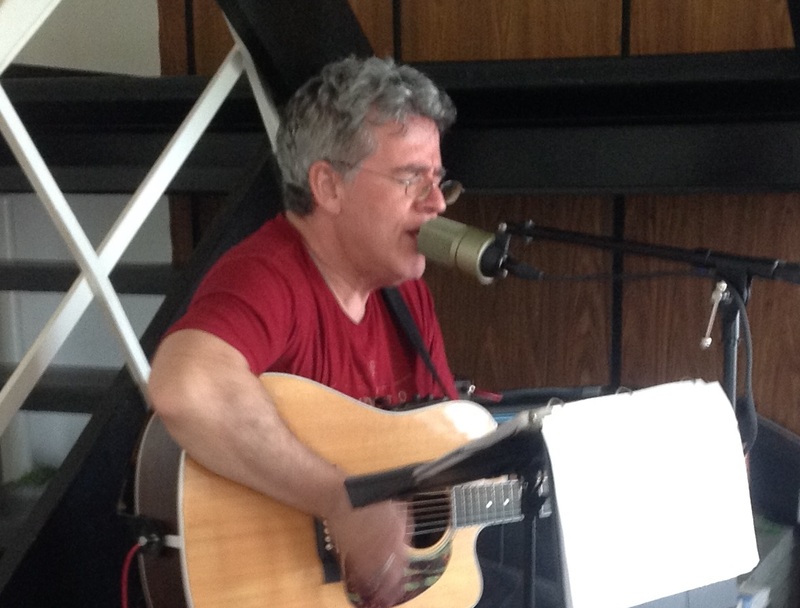 The music of Jim Dannemiller (aka Jimmy Dan) fills Guiton St. Artists’ studios.